It's been a while since I've enjoyed a Mario Party title this much. The last couple of iterations have been wildly experimental in some ways, almost to the point of doing away with the very board game foundation that attracted me to the series right back in its first outings on the Nintendo 64. Super Mario Party is a step back to tradition, and as such, it's also a step in the right direction. It's not the most convenient game to play on the go, though. It's not possible to play Super Mario Party in handheld mode. Even when you're playing by yourself. You're going to need to find a flat surface, set the Switch up, and then detach those Joy-Cons to play. I recommend carrying something like the Venom Power Pack with you for playing Super Mario Party on the go for its additional stability when in tabletop mode, because the Switch topples at the slightest bump with its default stand, and with Super Mario Party that can be ruinous when in the middle of a mini-game. 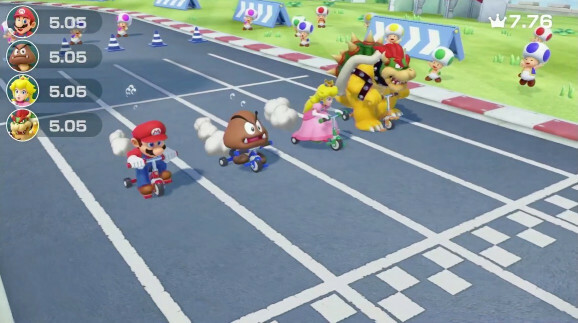 On the plus side, anywhere you go you'll be set up to play two players, at minimum, thanks to having two Joy-Cons connected to the console, and Mario Party has always been best enjoyed with friends. 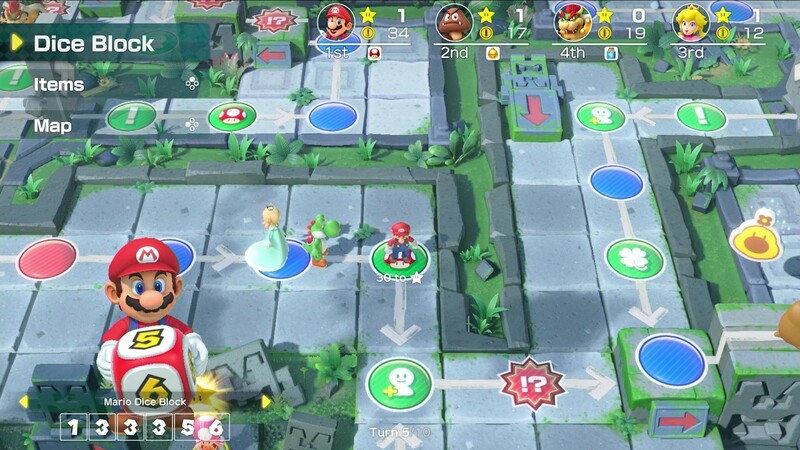 The basic mode is classical Mario Party; you'll choose a game board from a couple of different options, and then head on a star hunt. Somewhere on the board is a star square that, once passed, allows you to purchase a star for 10 gold coins. The star square then moves on. Those coins can be earned either by landing on certain squares around the board or in the series' famous minigames. Once everyone has had a turn, everyone participates in a minigame. There are dozens of these. They range from running around a maze to climbing a pole quickly, collecting items faster than the other players, and so on. Each minigame tests a single skill, and whoever does best earns the most coins. This is also the reason why you need to play Super Mario Party with the Joy-Cons detached; sometimes you'll hold them like a standard controller, but at other times you'll need to use the controller's gyro features to compete in the minigame. 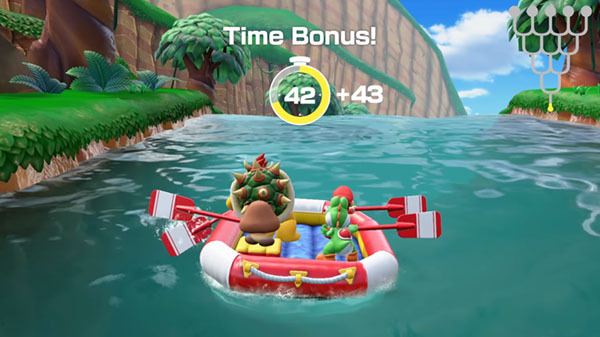 The minigames are generally quite brilliant for what they are, with a seemingly endless variety in small experiences that helps to keep Super Mario Party exciting. 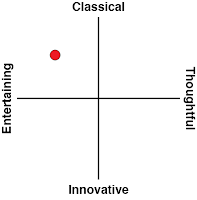 Everyone's going to have their favourites (part of the fun is crossing your fingers that a minigame you're good at will show up at a critical moment), but there aren't too many dud games that no one will want to play. All control well and I can't think of an instance in testing where I struggled to get the game to do what I wanted it to. Best of all, most of the minigames are designed around a tight finish; they might last less than a minute, but those last five seconds can be hilariously tense. Super Mario Party's boards are designed so that there's never a moment of boredom. Every corner of every board has interesting features and threats to hunt down or avoid, respectively. They're also bright, colourful and filled with energy, and each board has a distinctly different theme. As such, it's the kind of board game designed so that everyone can jump in and enjoy themselves, and this is reinforced by all the minigames being instantly understandable and easy to play. Mario Party has always aimed for a broad audience, and this one is no different - right in time for the Christmas party season Nintendo has released something that the whole family can come together to enjoy. The only real issue with Super Mario Party is an issue that has plagued it from the very first, and I can't for the life of me understand why none of the developers have ever bothered trying to get this right; the AI 'rubber-banding'. Mario Party must be played with four people; any slots not filled by humans are occupied by AI opponents, and these AI opponents have a habit of rolling exactly the dice numbers they need to get around the board (and get all the stars) effortlessly. The higher the difficulty level, the "luckier" they get with dice rolls, and this happens far too frequently to be explained as anything but deliberate manipulation to the dice numbers in order to make the AI adequately competitive. Where the AI can't "cheat", such as in the minigames, it's quite easy to beat, even on the most difficult setting, but winning all those minigames means nothing when the the dice rolls continue to drop you right in front of a star, only to have the AI opponent score an obscene roll and scream past you to nab the star. Which, as mentioned, relocates it, starting the chase all over again. 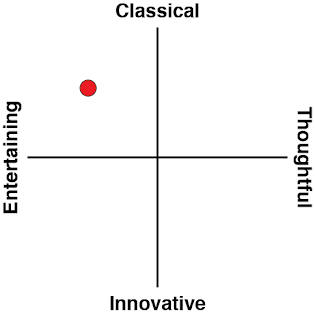 It makes the AI very difficult to beat on the highest difficulty level, but it's a very artificial difficulty. Worse, it means that the only time Mario Party feels truly balanced is when playing with the full four players, so even if you've got three people together, you're still not getting the experience at its best. In addition to the standard board game, there's a number of co-operative modes, and some modes that get rid of the board game entirely to focus just on the minigames. It's even possible to play gauntlets of minigames online, for people who are feeling competitive but don't have other people to play locally. I've never been sold on the value of the minigames in and of themselves. 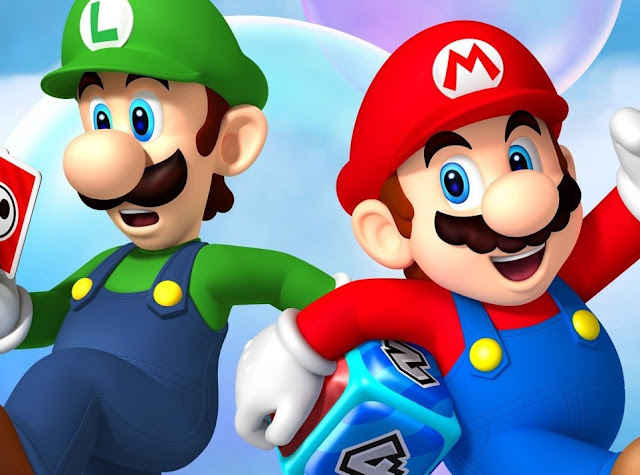 They're a means to an end in the board game, and lack the depth to stand alone, but it's a definite strength of Super Mario Party that it gives players plenty of options to play the game their way. Sitting squarely on the "fun for the whole family," end of Nintendo's spectrum, Super Mario Party is a joy. It's colourful, cheerful, and good-spirited, and backs that up with excellent board and minigame design. After a few iterations that were too experimental for their own good, Mario Party is back in form, and that has made me really happy.